Dolly the Upstairs Mouse. It isn't that you didn't clean, but that you didn't know they were staying. Not to panic. 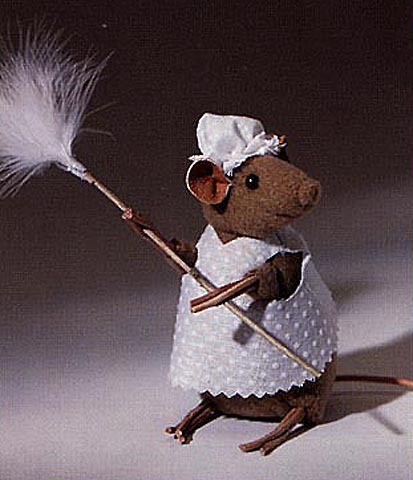 Dolly, The Upstairs Mouse caught wind of the impending event, and has been hard at work making her own arrangements. You may find her pile of dustbunnies by the guest room door, ready to go out, or a thoughtfully prepared snack of sunflower seeds placed by the night stand. It's nice to know you're not alone in your industrious fussing, before the guests arrive.